An important exhibition and catalogue organized by Yves Gevaert. The book is not a typical chronicle of the exhibition but an extension of it, with each artist contributing site-specific works to its pages. All made possible with the support of the Daled Family, Annie De Decker and Bernd Lohaus, Konrad Fischer, and Kasper König, among others. 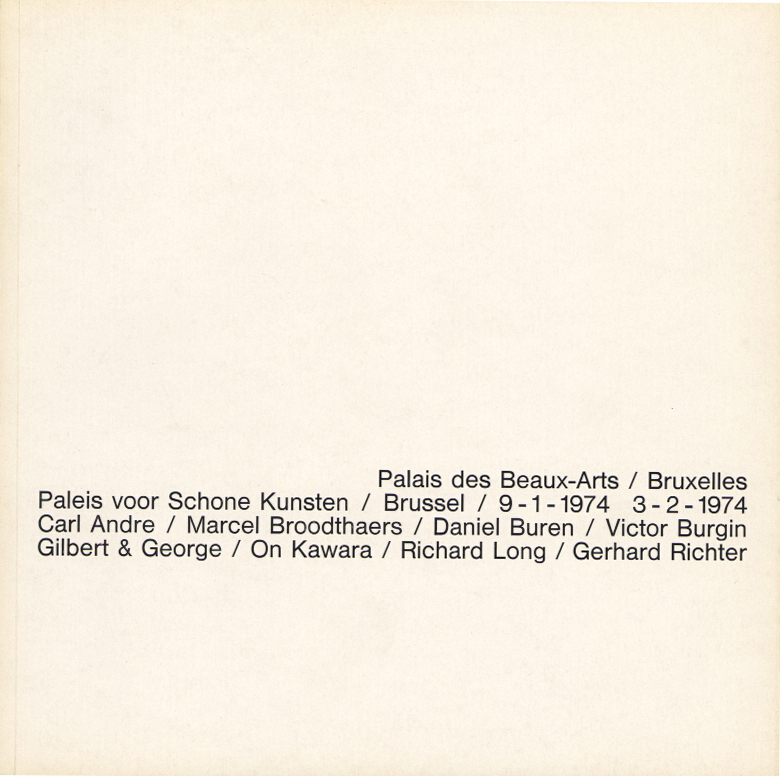 Brussels: Palais des Beaux Arts, 1974. Illustrated, n.p. French and German.